1. How can I contact Araflora about my order? For questions relating to your order or your account you can contact our customer service at any time. We will reply as soon as possible, and within 2 working days at most. You can reach us via service@araflora.com or by completing this contact form. Always state your order number, email address, telephone number and customer details if known. 2. Can I ask additional questions about my ordered products to Araflora? The website of Araflora is designed to provide all the information you need to use or care for your ordered products. At shows and markets we are happy to answer all your questions, but it is not possible to contact us with questions. 3. Can I send questions about plant care to Araflora? This website at Araflora.com is designed to provide all the information you need to care for your exotic plants. Also at shows and markets we are happy to answer all your questions. We do not answer questions in e-mails. 4. What is the phone number of Araflora? The business processes of Araflora are aimed at offering you unique, yet affordable exotic flora with an efficient service. To achieve this, we can only be contacted by e-mail. 5. Can Araflora export to countries outside the European Union? 6. What is the plant finder and how do I use it? The plant finder is a tool to quickly find the plant you are looking for and get all the information you need to know about this plant. 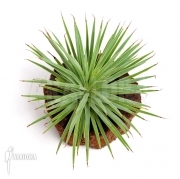 Enter the popular or Latin name of the plant, plant type or cultivar you are looking for. Scroll to the plant you require and press enter. With this search you will quickly find the plant (s) that fall within your search criteria. Select one or more fields below and press ‘search’ to receive a summary of the plants on offer within your search area. Use advance search to find the plant (s) you require. Select one or more fields below and press ‘search’ to receive a summary of the plants on offer within your search area. Only show plants that comply with all of the criteria you’ve selected. Show plants that comply with at least one of the criteria you’ve selected. 7. What is the product gallery? Here you’ll find pictures of plants and products from our web shop. You can just browse the pictures to find some interesting looking plant. By clicking on a photo you can go to the relevant product page where you’ll find additional photos and information. 8. How do I stay updated about Araflora and its products? Click here to subscribe to the newsletter. Araflora will only use the information provided by you to send out the Araflora newsletter, your personal details will not be shared with third parties. You can discontinue your subscription at any time with the same link as used to subcribe. If your desired product is out of stock, you can sign up to be kept up to date about this product. Araflora will inform you as soon as the product is available again. You will get an e-mail message when the product is available again. Unfortunately we cannot say how long this will be or what the price is likely to be. You are not obliged to order the product when you sign up for this Keep Me Up To Date service. 10. What are the payment details of Araflora? Name of the Bank: Postbank B.V.